Lilly Pulitzer only puts sale items on their website twice a year - once in the late summer/early fall, once around/after New Years Day. These sales are called the After Party Sale. Lilly Pulitzer does not announce the sale dates until a few days before. The next one will be Monday, January 7 - Tuesday, January 8, in stores and online. There are two "early access" days in store only - Saturday, January 5 and Sunday, January 6 (here's my haul from the preview day I went to!). The sale goes live on the first day (Jan. 7) at 8am EST, and there is a virtual line to get into the website (it’s THAT popular!). The sale ends around 11:59pm on Jan. 8. Shipping can take up to 6 weeks after the sale. As an After Party Sale veteran, today I’ll be sharing the tips I’ve learned over the years. *First, I’m going to explain the difference between corporate and signature stores. Corporate stores are owned by the Lilly Pulitzer company, and are called Lilly Pulitzer. The items at these stores will have the same prices that you will find on lillypulitzer.com during the sale. 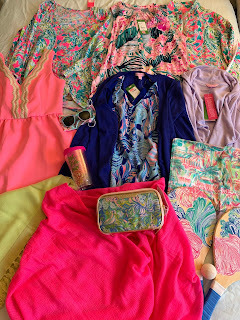 Signature stores are independent boutiques that carry the Lilly Pulitzer brand. They often have a name that includes the word pink, such as Pink Door or Pink Palm. Signature stores participate in the After Party Sale to varying degrees, but most do participate. Some signature stores have websites; some do not. Signature store sale prices might be the same as on lillypulitzer.com, but they might also be higher or lower, so shop around for the best deals! Signature stores also sometimes put things on sale that are not on sale at corporate stores or on lillypulitzer.com. Locations of both corporate and signature stores can be found on lillypulitzer.com/stores. 1. If a store near you does a preview day, try to go to it, if you are able to. The past few sales, both corporate stores and signature stores have had a sale preview day, where the same items that will be online are available in store, for the sale prices. This sale, the preview days are January 5-6. These preview days are before the online sale. This is a good way to get an idea of things that will show up in the online sale. Buying an item in store is the best way to guarantee that you will get the item and not have to wait 6 weeks for shipping. However, not all items will be available in store. Older items, recuts, and items where only a few are available will only be available online. My strategy is to go to a preview day in store, before the online sale starts, look for anything on my list, and then get online right when the online sale starts. Here's what I got from the preview day at my local corporate stores. 2. Use multiple devices to shop the online sale. Once the clock hits 8:00am EST, everyone on the Lilly Pulitzer website gets placed in a virtual line. This allows them to limit the amount of people shopping at a time, which makes the website work better. Don’t be surprised if your wait time is an hour or more! Items in your cart are not reserved; they only become yours once you check out. Once you check out, you are placed in the back of the virtual line. Using multiple devices serves two purposes. 1. If you have multiple devices open to the page at exactly 8am, you will have multiple chances at a good place in line. No matter what my timing strategy is, my devices all seem to get random spots in line. I usually use 2-3 computers/tablets, and at least one will usually only have a short wait. 2. If you have multiple devices in line, you can shop again without going to the back of the line completely. Since items in your cart are not reserved, if you find something you really really want, your best bet is to check out immediately, and then go back in when your next device gets to the front of the virtual line. 3. Shop the signature store websites while you wait for your turn on the Lilly Pulitzer website. Lots of signature stores have websites that have sale items at some point on the same morning as the Lilly Pulitzer website (most, but not all, go live at 8am EST, same time as lillypulitzer.com). Most of these websites have no virtual line, so browse these websites while you wait for your turn on the main Lilly website. In addition, signature stores often ship APS orders within a week, so you’ll likely get your items faster than if you buy them from the main website. Not all signature stores have websites, but see the list at the bottom of the page for a few that do! 4. Check other websites that carry Lilly Pulitzer. Zappos, 6pm, Amazon, Saks, and Rue La La have been known to have sale Lilly Pulitzer merchandise during the After Party Sale. Not all of these websites will participate each sale, but make sure to check them all. 5. If something is sold out on the website, call a corporate store. Not all sale items are available in store, but if an item is available in store, any corporate store can look up which stores still have the item and order it for you! This works best with semi-recent items, not recuts or items from more than 6 months ago. I’ve personally used this strategy to get several items that sold out quickly online. 7. If there is something you absolutely NEED, do not count on the sale. Things sell out, the website glitches, and orders get cancelled. It happens every time. Therefore, if your friend is using a Lilly Pulitzer dress as her bridesmaid dresses, don’t count on buying it during the sale. If there is a popover so beautiful that you’ll be devastated if you don’t get it, buy it before the sale. Better safe than sorry. In addition, lots of signature stores put APS items on sale earlier than the sale (just not as cheaply priced), so you might still be able to buy that certain item on sale. The best signature store websites to shop during the After Party Sale change every year, but here are some I’ve had good luck with in the past. 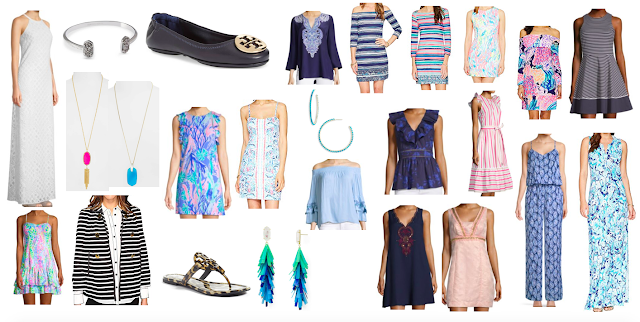 Check these out while you wait in the virtual line at lillypulitzer.com! What are your best tips for the sale?